Built by Charles Stone and Andy Kelsey on land purchased from Salvador Vallejo. 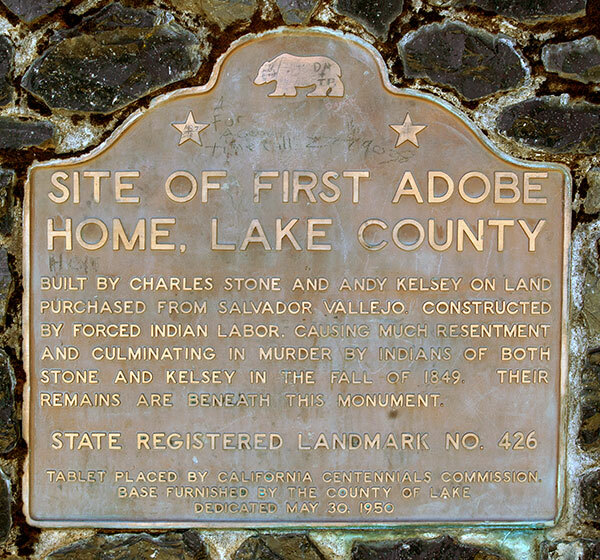 Constructed by forced Indian labor, causing much resentment and culminating in murder by Indians of both Stone and Kelsey in the fall of 1849. Their remains are beneath this monument.